In select cities, the Goodguys Rod & Custom Association and local car clubs put together a secret tour of hot rod and customizing shops the day before the big Goodguys show begins. The itinerary isn’t publicized, but arrive at the Goodguys show venue early on Thursday morning and you can learn the details for the day. 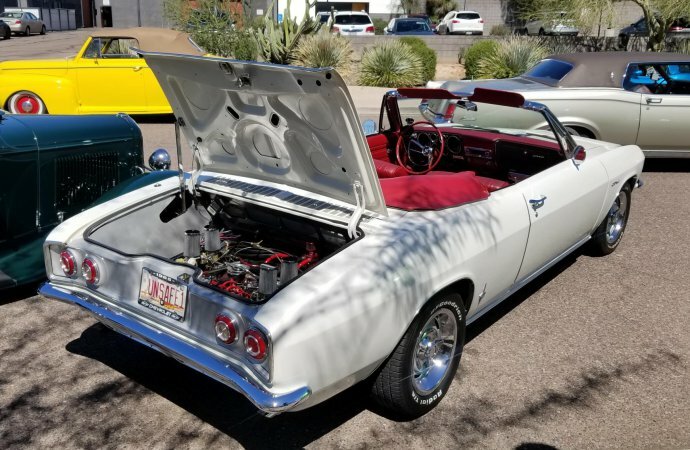 The ClassicCars.com Journal team joined a recent tour ahead of the 10th annual Spring Nationals in Scottsdale, Arizona, and wants to take you along for the ride. Tour attendees check out Ford Mustang with a Ferrari engine under the hood, along with other vehicles. 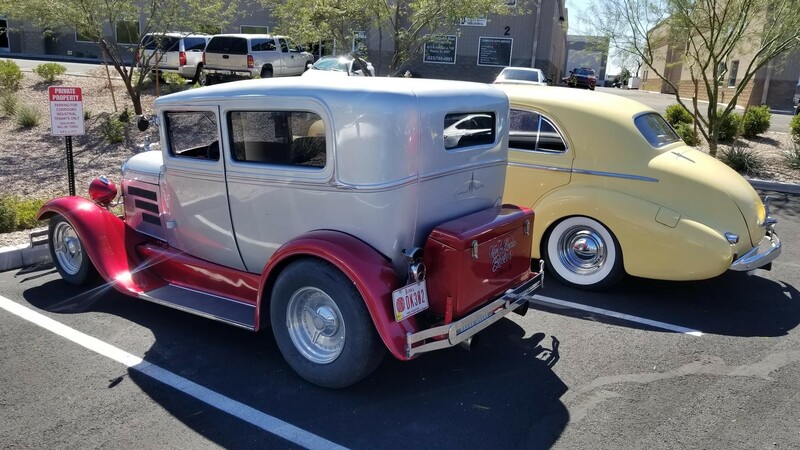 The goal is to build the custom car and hot rod community and to celebrate everything automotive. 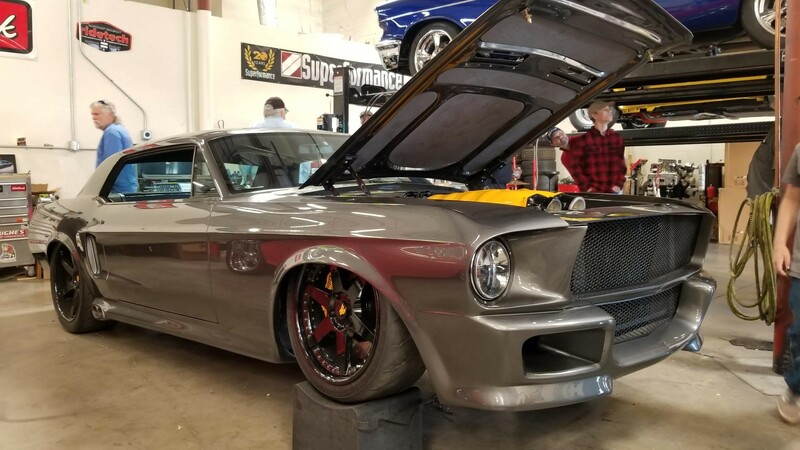 Car owners get to discover shops they may not have known about, shop owners get to chat cars with some creative customizers, and hot rod fans get to see the cars up close and personal with the owners on hand to answer any questions. 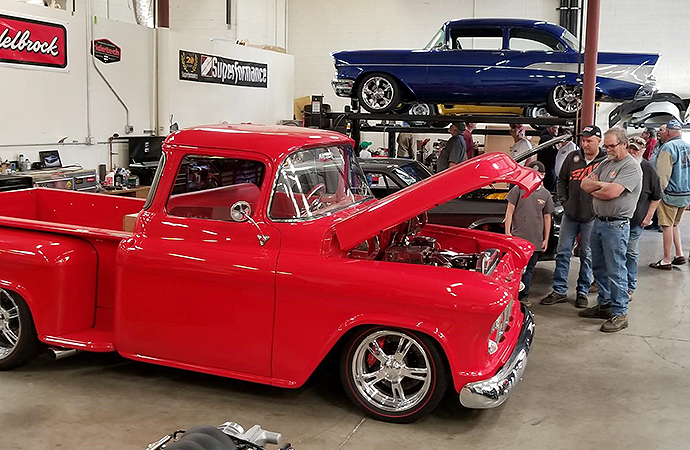 The recent tour attached to the 10th Spring Nationals first stopped on a cool spring morning at the Phoenix Hotrod Company, a shop that specializes in automotive restorations with an emphasis on hot rods. 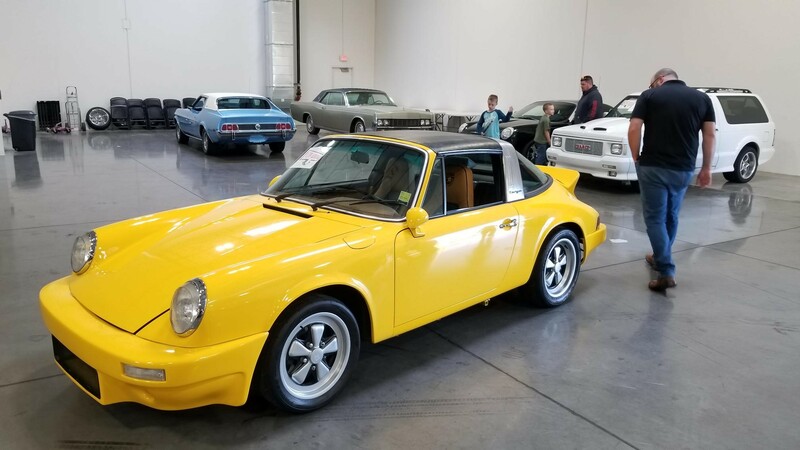 From there, we cruised a few miles north to Gateway Classic Cars. 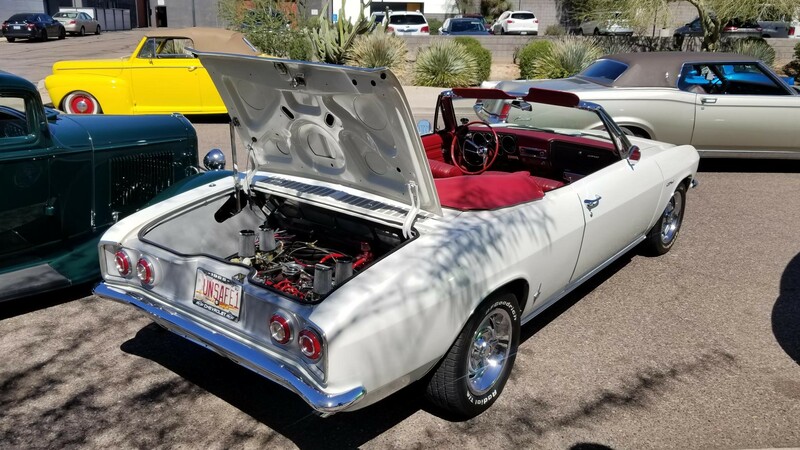 It was the only classic car dealership on this tour, so we decided to go live on Facebook to show off some of the cool hot rods and other customs. 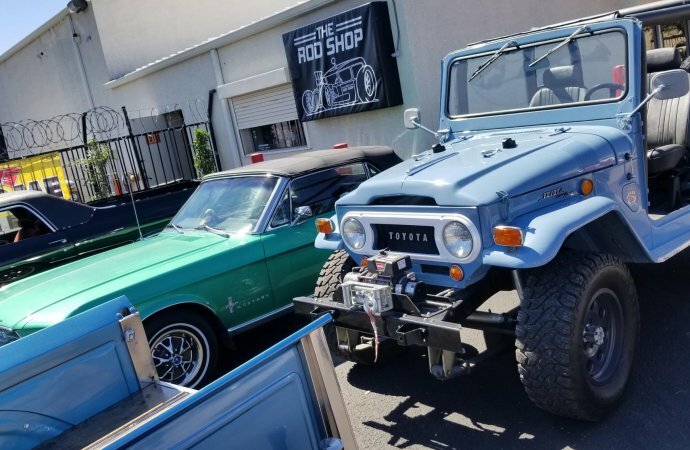 After that, the tour made its way to American Legends, a shop that performs everything from maintenance and service to custom builds on all classic cars, though it has a soft spot for hot rods and muscle cars. That was followed by another hot rod-oriented shop, The Rod Shop. 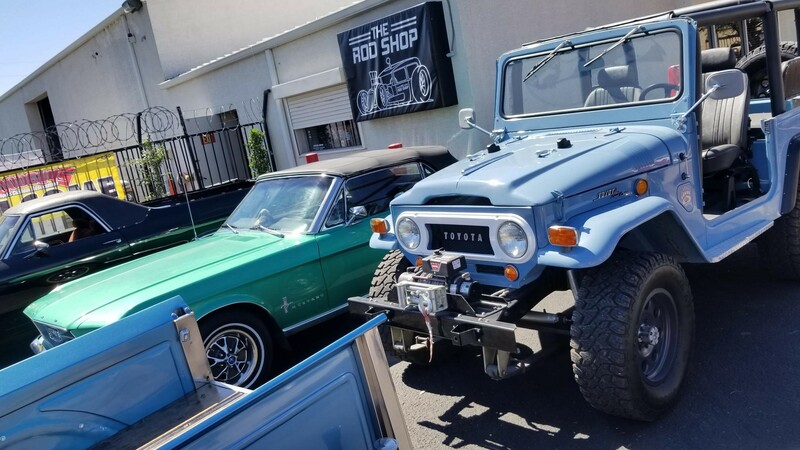 The final tour stop was at Baer Brakes. 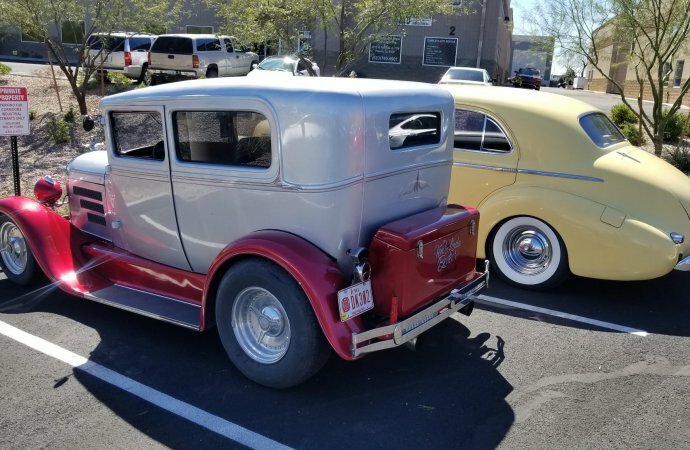 While their products are used on hot rods and other vehicles that frequent Goodguys shows, Baer also makes high-performance brakes for many cars on the road. 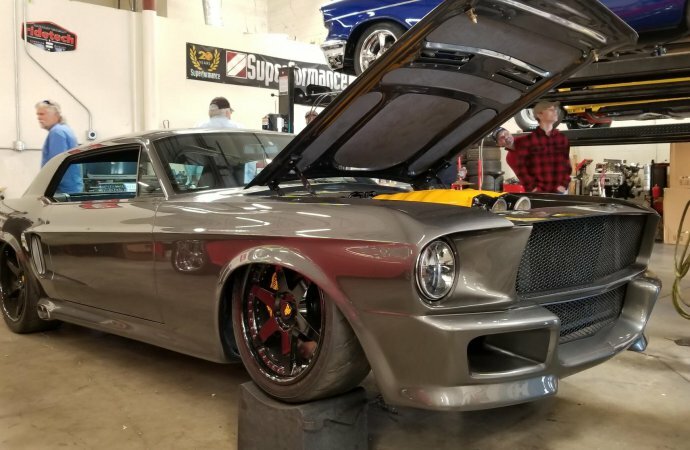 Bennett said Goodguys organizes five to 10 tours per year, in addition to the Gary Meadors Memorial Hot Rod Week — a full week of tours in the San Francisco Bay Area held prior to the annual West Coast Nationals show. Very interested in going on a "secret" shop tour in Nashville this year. My wife and I will have the opportunity to be down there early for the show this year. Is it possible to tell me where to meet and what time to be there ? Much appreciated. 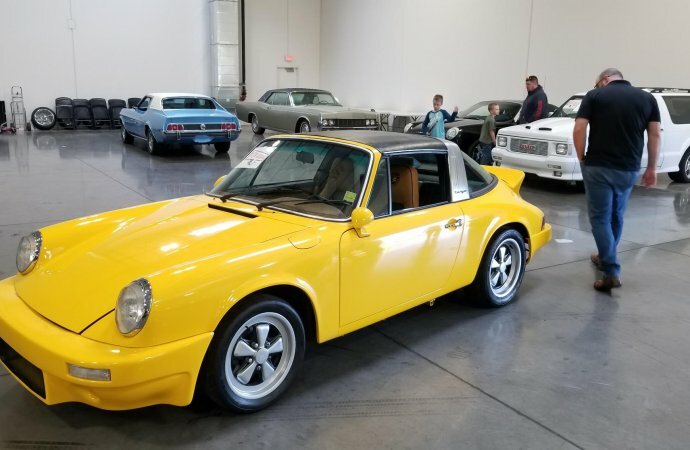 That I was ripped off by a car dealer. It’s coming along good,,just need help in what should be worked on first.. Thanks so much for the tour, pretty awesome.